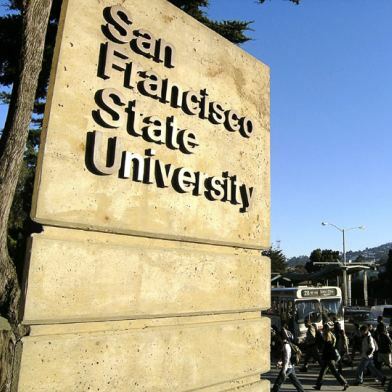 As previously reported, former SFSU cheerleader Ashlee Haley was arrested for allegedly embezzling around $20,000 of the squad’s money for her own personal use. As of Thursday, she’s had her first preliminary hearing. Haley, 23, had allegedly used the funds for everything from entertainment to rent, including a trip to Vegas. She was not only a cheerleader, but appointed as treasurer of the squad. Currently she faces 12 counts of grand theft, 16 counts of obtaining money by false pretenses, and one count of embezzlement. The latest news in this story comes from the Golden Gate X-press, which reports that the hearing took place in Department 12 of the SF Hall of Justice Thursday. Judge Bruce Chan presided over the hearing and heard from Haley that she is currently attending a process group and serving one day of community service per week. An additional preliminary hearing may be set for October 27th, as the prosecution continues to sort through their extensive evidence.